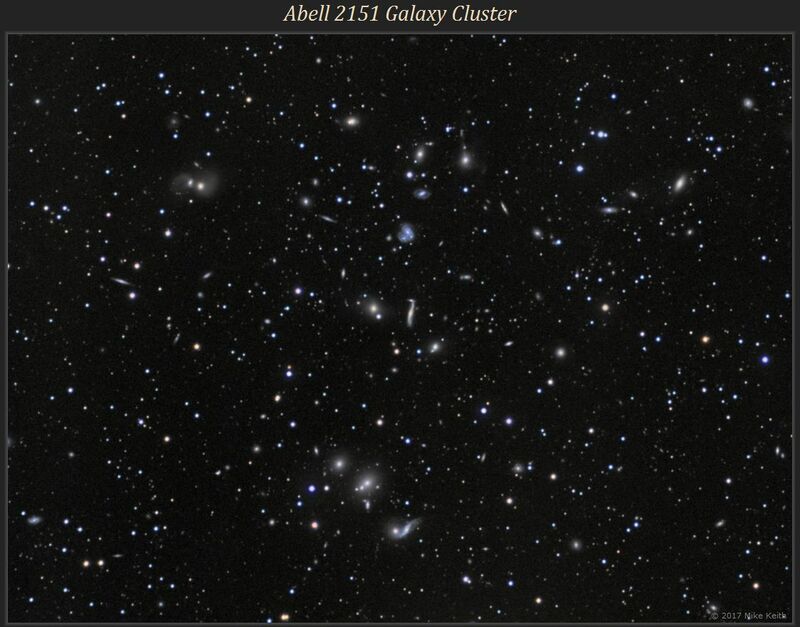 Abell 2151 is a rich and interesting galaxy cluster whose center is about one degree northwest of the star Kappa Herculis. One of its distinguishing features is the presence of many interacting galaxy pairs such as NGC 6050 A and B (two small blue spiral galaxies above center), NGC 6040 A and B (pair near the bottom), and IC 1178/1181 (ellipticals near upper left). The galaxies in these pairs tend to have distorted shapes as a result of present or past interaction with their neighbors. 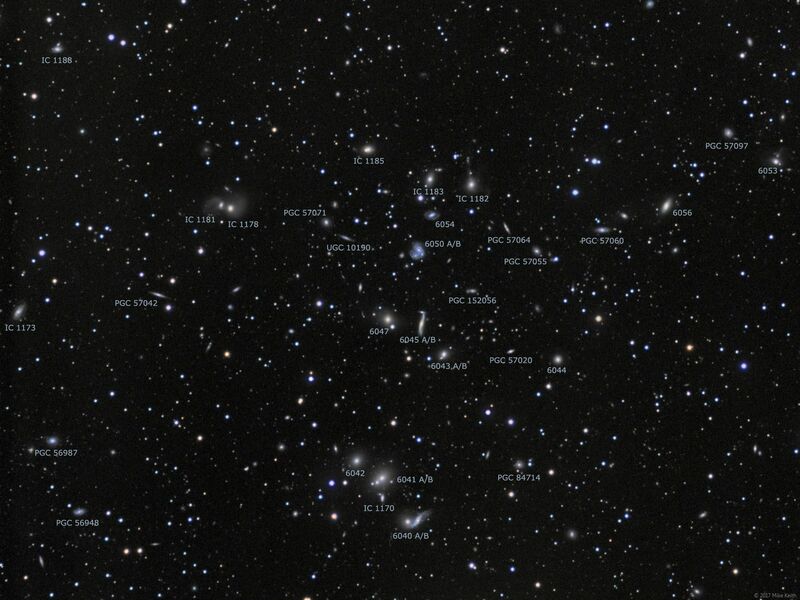 The higher-resolution image (see link above) has a slightly larger field of view and shows the names of about 30 of the most prominent galaxies (note: a number without a prefix indicates an NGC galaxy). This is a 10-hour exposure with L:R:G:B = 5:2:1:2 hours.